Kate is our very own "Ballet Princess" at NDC. All the girls can't wait to get into Kate's ballet classes. Kate has over 25 years of dance experience, primarily in classical ballet and musical theatre. She received her training from Calvin College in Michigan. Kate has performed professionally in Nevada, Grand Rapids and Boston. she performed as a professional competitor with Arthur Murray and has completed several Master Classes including performing at Disneyland in California and off-Broadway. Kate lives in Willard with her husband and two daughters. Jennifer attended BGSU as a dance major with an emphasis on ballet, modern dance and theatre. She performed in the "Nutcracker" with the Toledo Ballet. She received her classical ballet training under the direction of Ernst Hillenbrand in Fremont, OH. Jennifer enjoys her time at home with her young daugther Talia and helping her partner Chris with his comic shop in Fremont. Jennifer also loves horses, and we love her! Ashley has got a spirit that is infectious and a sweet personality that the kids just can't help to love! Her background in cheer and tumbling (which she absolutely loved) brought her to us, and we are so thankful for it! Not only is she invested in our kids, her own daughter dances for our Competition Team, Ashley also has a son named Connor. Besides teaching dance, she is a nurses aid at Fisher Titus. She says, "I love my job here and can't wait to teach each year!" Stephanie has been teaching with us for 3 years. She spent 5 years dancing with Cynthia Kniffin Dance Academy focusing on ballet. Stephanie lives in Castalia with her husband, three sons and her new daughter Sophia. She loves teaching with us to get in her "girl time". She loves working with the little ones and starting their love for dance. She is especially excited to share her love of dance with her daughter in the future. Stephanie also does a fabulous job of working with our Company Team! Shelby began as a tumble student, and displayed such integrity that we had to make her a teacher! She does a great job of connecting with the students and keeping it fun! But this busy girl doesn't stop there, she is also studying Dental Hygiene at Firelands College in Huron. She says, "Tumbling is another passion of mine and I enjoy teaching it." A fun fact about Shelby is that her favorite food is peanut butter, which she likes to eat "STRAIGHT out of the jar!" Amy has been dancing since she was 3 years old. In 1994 she performed at the Citrus Bowl halftime show. She also was a cheerleader and was chosen for the All Star Team at the UCA Cheer Camp for the Macy's Thanksgiving Parade! She is currently getting her start teaching with our pre-school programs. Amy has been married for six years to her husband Chad. Together they have a daughter who loves taking dance with us. She is also an independent hairdresser who works at TrinityVista Care Center and Luther Oaks. Tieler started dancing in preschool and continued as a tap student until she really caught the "dance bug", so we snatched her up to share her heart of gold with our little ones!!! 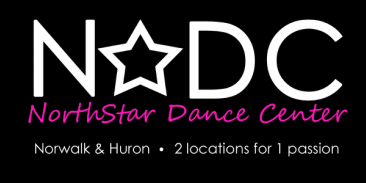 She currently not only teaches some of our classes, she also performs with the STARZ Competition team. During the 2015 she had the honor of choreographing for the competition team. Her number This Little Light was awarded a golden ticket to the Star Alliance Worlds Dance Competition. In 2016 her number Lost Boy was awarded an Outstanding Choreograph award. In 2017 her number Hey Mickey was awarded a golden ticked to the Start Alliance Worlds Dance Competition. Tieler is currently attending Ashland University where she is studying Education. She plans on teaching middle school history, language arts or reading. Tieler continues to dance for Ashland's Elite Eagle Dance Team. She still comes back to the studio to help with our competition and company teams and will sub for classes when available. Jessie has been with Norwalk Dance Center for 7 years. She started out as a secretary and has become legendary as our General Manager. She also loves teaching some of our 2-3 year old classes, another chance to let her love for the kids and teaching pour out. Both of her daughters currently take dance and tumble classes and SHINE on the stage with the STARZ Competition team. Her son has enjoyed tumbling classes and currently participates in 4-H and football. Whenever you see Jessie, we can guarantee she will be smiling and have a heart to take care of what you need. She is a "get 'er done!" Jessie says the one thing she can't live without "are my FRIENDS!" We say we can't live without her!!! Missy lives in Monroeville with her husband, Brian and dog, boB. (Notice the spelling of boB's name... he is a very special and well loved dog!) She has 2 children. Tristan who is 27 and lives in Austin, Tx, just got out of the army and is going back to college. And Alexandria, who is 24, lives in Chicago, and is an Interior Designer. Missy enjoys working out, shopping, and 4 wheeling in Southern Ohio. (Unusually adventurous!) One thing in the whole world that she couldn't live without is "my family". She is the face in the evenings that will greet and take care of you. We can't even tell you how many compliments we get about how wonderful Missy is. She is instrumental in keeping us running smoothly and answering questions for the families. Always caring and nurturing, Missy says she started her career with us 5 years ago, and "can truly say she loves her job!" We also love to utilize our growing dancers as demonstrators in most of our classes. These students have shown a deeper interest in dance/ tumble, have attended meetings to learn what is expected, and have signed a contract showing their commitment. It's a great opportunity for teachers to be able to give one on one attention to students while the class continues, for the demonstrators to begin learning a different kind of responsibility, and for our students to have a role model to aspire becoming.